A company led by executives with a Wall Street background is making cryptocurrency investments easier for hedge funds – catering to their compliance requirements while providing an intuitive platform for trading hundreds of different tokens. The desktop created by Blockchain Terminal – or BCT – has been built with an in-depth understanding of the tools traders and portfolio managers need to place and execute trades, while also helping CCOs ensure that transactions adhere to strict compliance standards. 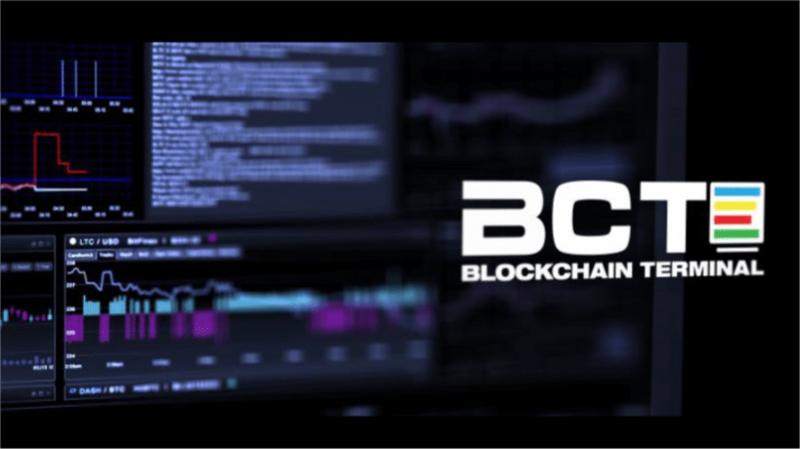 Like the terminals that have become commonplace for trading stocks, shares, and currencies, the BCT is equipped with a big display for easy analysis and cross-referencing. For users who aren’t always able to be in front of a computer screen, the company is planning to unveil mobile software so informed investment decisions can be made outside of the office. BCT hopes its product will be the catalyst needed to make cryptocurrencies a bigger player in the alternative investments industry. A quarter of managers in hedge funds told a recent BarclayHedge survey that they have already made inroads into crypto – or will do in the foreseeable future. Meanwhile, almost one-tenth of respondents are investigating whether cryptocurrencies can fit into their business plans. Based on AutonomousNext’s analysis, those who don’t adapt could be at risk of falling behind. Following a sharp rise in specialist crypto funds last year, there are now 226 funds handling crypto assets estimated to be worth between $3.5 and $5 bln. Regulation and scrutiny of the finance industry show no sign of dying down, with the 2008 downturn and a slew of fraud scandals casting an uncomfortable spotlight on their practices. Simultaneously, those investing in traditional funds have been left agitated by hefty fees and dwindling dividends. All of this has made compliance a principle that needs to be taken seriously. Integrated into every BCT is a system known as ComplianceGuard. The company says this software has been successfully tried by almost two-dozen hedge funds – enabling cryptocurrency trades to take place within the strict parameters of an institution’s compliance policies. Blockchain Terminal’s ledger makes the most of private and permissive Blockchains – creating a happy medium that affords an institution and its clients’ discretion while bringing accountability and transparency through time-stamped transactions stored on a global system. Because of this, auditing can happen instantaneously should any queries concerning compliance arise. All files attached to a transaction are also tamperproof. According to BCT, developers are going to be a major contributor to the company’s success. This is because they are producing applications that allow every user to tailor the terminal to his or her individual requirements. It is hoped that the degree of personalization such apps provide will accelerate the company’s growth. Meanwhile, BCT is going to integrate exchanges that provide data on roughly 1,400 different types of cryptocurrency. Understandably, cybersecurity is a concern – and this is why a non-profit foundation validates third-party apps before they become available to everyone using a terminal. Known as the BCT Foundation, its goal is to encourage the adoption of this technology in the marketplace. All users will end up coming into contact with BCT Tokens, which the company classifies in two different ways. Firstly, the native token is the driving force behind the ledger. Then, an ERC20 token enables terminal owners to purchase app subscriptions and use the services on offer. The company says it is passionate about ensuring that its Blockchain terminals become a mainstay in hedge fund offices. To this effect, 200 machines are going to be distributed in April of this year. Ahead of this is the BCT public presale, which is ongoing and comes off the back of a successful private presale and airdrop. In Q3 2018, the company wants its terminals to be offered through retailers – making its technology more mainstream. The integration of third-party applications would come in Q4, with BCT confident that this will broaden its platform’s potential. To help momentum grow and word of mouth spread about the Blockchain Terminal, the company has commenced a worldwide tour of cryptocurrency conventions and fintech exhibitions. Its team has already visited Berlin, Malaysia, Israel and South Korea – with executives scheduled to visit conferences in California and New York next month.